The Museum opened on Saturday 6th April 2019 for the summer season. Opening times are the same as in previous years. 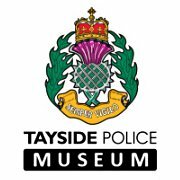 The Tayside Police Museum, located in the same building as the existing Police Station in Reform Street, Kirriemuir, charts the history of policing in the city of Dundee, and the counties of Perth & Kinross and Angus, from the early 1800s through to the present day. The museum is located entirely on the ground floor, and comprises of 6 rooms in which visitors will be able to view permanent displays of Uniform, Batons, Handcuffs, Awards & Medals, Cameras, Weaponry, and so much more.